Yeah, the title’s harsh, but I’m frustrated. There’s an excessive number of unwanted pets on the streets, in colonies and in shelters. An increasing number of organizations, volunteers, and animal-care and shelter workers are working hard to stem it and are meeting with some success—Long Beach Animal Care Services reported last month that there’s been a 23 percent drop in euthanasia rates for dogs and a 37 percent reduction for cats from January to April—we’re one example of how all the dedication to rescue, adoption and spay/neuter is paying off. Anyone who’s spent any significant time volunteering for animal causes, however, won’t jump up and down for joy at these stats because he or she knows how quickly the glee shatters when the head bumps up against the ignorance ceiling. This is constructed by the people who, even after attempts at education and the offer of a free spay or neuter procedure, refuse to alter their pets. And of course, they have solid reasons why they won’t get their pet fixed. A couple of weeks ago, I saw a woman who couldn’t have been more than 20 sitting on the sidewalk with a cardboard sign that said she was a starving musician. She sported stiff pink hair spiked to a dangerous point and an angelically beautiful face with dangerous-looking eyes. A big pit bull mix with complementary-size noogies slept with his head on her lap. “If she only knew the nature of the beast!” said Antje Hunt, who’s been around many blocks many times trapping and fixing feral cats for Long Beach Spay and Neuter. 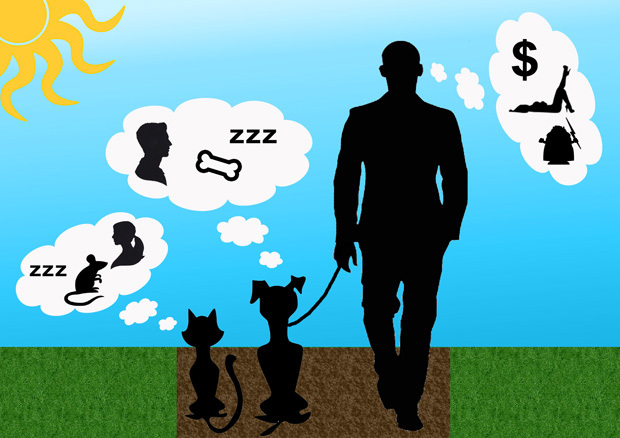 Hunt added that altered pets have a longer lifetime because of a significant decrease in the likelihood of developing mammary-gland or testicular cancer; furthermore, pets in heat want to roam, which may result in accidental death from running in the street or injuries from fighting. But They Who Will Not Be Educated stand firm in their refusal to allow anything to penetrate their ignorance, and I’ve been long tired of shelters with conscientious staff, ours in particular, bearing the blame for having to perform euthanasia on the many results of other people’s irresponsibility. I’m tired of hearing about rescues and shelters that don’t kill their animals having to turn unwanted pets away because they’re bursting at the seams. I also know that number of people who wait on line, patiently or not, to get their pets fixed for free and help end the cycle far outnumber those with knucklehead sensibilities, but when you consider that the average cat in an average lifetime—say seven years—can theoretically produce 420,000 kittens, according to the L.A. Animal Shelter and these kittens can go on—the music goes round and round. Say we have 10 people who won’t fix their cat—well, do the math. And that’s just 10 people. And dogs—our shelter’s majority population comprises cast-off pit bulls, Chihuahuas and mixes thereof born out of neglect, greed, ignorance. The magic number given by most sources for the average dog is 67,000—the number of puppies produced by a female dog and her unspayed offspring in six years (source: Watauga Humane Society). Even if we have successful adoption days like the one Best Friends had in L.A. last weekend http://www.youtube.com/watch?v=dcgc18eO1ts (400 pets went home!) or if 400 more get fixed at the Fix Fest (see below) or if the Friends of Long Beach Animals-funded clinic at Animal Care Services is busy every day when it opens, They Who Will Not Be Educated will still be filling up the shelters and rescues as well as the feral colonies and the streets. I’m not alone in my frustration—not hardly—so in an attempt at levity after this rant—if you can call any of these funny—I asked members of the animal-welfare community for the stupidest reasons they’ve heard for not fixing their pet. I wanted to compile a top-10 list, but there was too much dumb to choose from. “My dog would have nothing to lick without his balls.” (Lynda Montgomery, AMRT volunteer and comedian. “I don’t want to take his manhood away.” (Emmanuela Pena, Fix Long Beach volunteer. 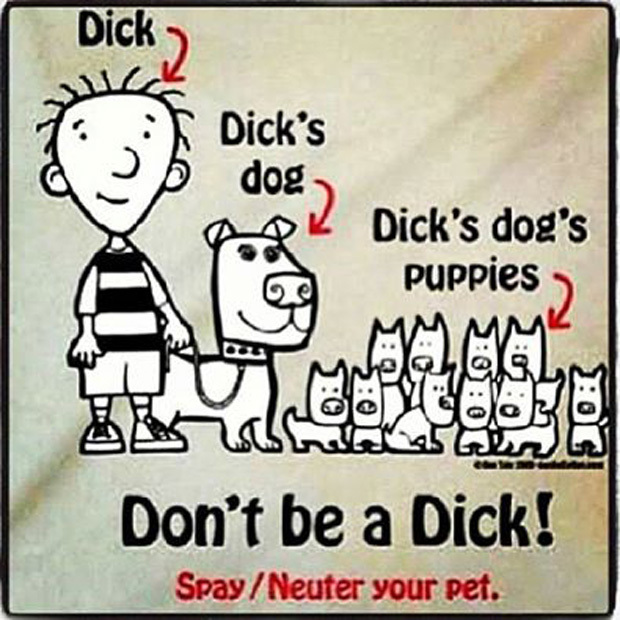 “The stupidest thing I heard was from a person who said, ‘I don’t want to spay/neuter because that’s going to ruin their personality. '” (Anna Wong, Stray Cat Alliance volunteer. I’ve run into many, many kids who are completely involved in animal welfare, but that last one cheesed me off more than any of the others (where are the parents?). As I said, we’re frustrated, but no one I know is giving up the battle. If you’ve heard any winners, post them below. Till next time. Butch and Dude (center, right) look like eccentric identical twins with their own butler—Bodie, the tuxedo. Yeah, they wish. The feline trio belonged to a dying woman with no family; thanks to a neighbor who spoke to the right person who spoke to Animal Care Services, the three of them are now waiting for their own lap of luxury. Make their acquaintance at Animal Care Services on the shelter side of the Pitchford Companion Animal Village at 7700 East Spring St., (562) 570-PETS. Ask for ID#A519081 (Bodie), ID#A519084 (Butch) and ID#A519086 (Dude). I so hope that this doesn’t become a regular feature. As you no doubt have read, a California brown pelican was found in Long Beach, his pouch sliced open with a sharp object. He was rushed to International Bird Rescue in San Pedro where he’s receiving rehabilitative care. As recently reported here by Sarah Bennett, an anonymous donor has offered a $20,000 reward for information on this act of selfishness and cruelty. If you want to contribute to the recovery of the pelican, now named Pink, click on the organization’s link. Humane Education for Parents Now Available! In the spirit of the animal community’s concern for animal welfare and prevention of animal cruelty, author and humane educator Deborah Turner and Friends of Long Beach Animals (FOLBA) are joining forces with the Long Beach School District to offer free humane education classes for parents as well as classroom presentations for grades pre-K–12! Parents will learn about kindness and care for pets. Teachers are also invited to book their free presentations for classrooms as well. The curriculum, approved by the LBUSD, are informative and timely with regard to events around the city, as they help both children and adults learn about compassion for and kindness to animals in these hour-long presentations. For information on the curriculum and booking, e-mail [email protected]. Read about the program here. It’s Mother’s Day, and how about bringing Mom to Gelson’s for flowers, candy, pastry, and a pet? Yep, Mom can choose from among a number of sweetie-pies at Gelson’s Pet Adoption Day, featuring pets from West Coast Animal Rescue, Long Beach Spay and Neuter, and our shelter at Animal Care Services (ACS). Just remember—bring Mom along to be sure she actually wants a pet, and let her pick! Gelson’s will supply free samples from their pet partners and give away a free reusable bag and store coupons with any donation to these groups. For more information, contact Gelson’s Marketing Department, 818-377-6494. What a jubilee day for pets! 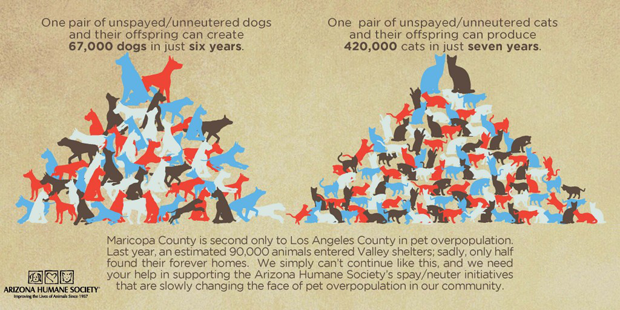 Fix Long Beach plans to celebrate its one-year anniversary by fixing over 300 pets—Long Beach residents only—through mobile spay/neuter clinics and thus preventing the birth of unwanted animals in a number that’s impossible to figure without an advanced TI Titanium calculator. FLB invites all area mobile clinics to join in by contacting [email protected]; all participants and sponsors will be named on the flyer. Please contact Claudia if you know of any clinics that will join in. 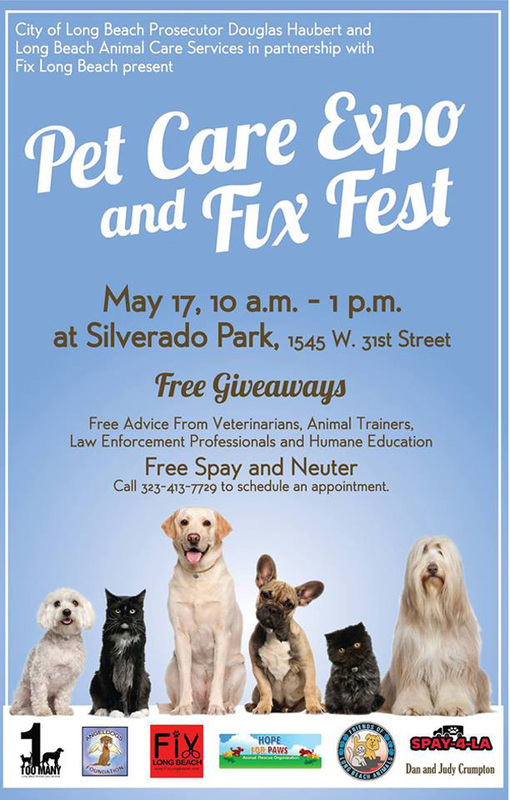 The Fix Fest is held in collaboration with the third annual Long Beach Animal Cruelty Conference, presented by the office of City Prosecutor Doug Haubert and by Animal Care Services. $50 off Pet Adoptions, May 14–16, Long Beach Animal Care Services and spcaLA, 7700 E. Spring St. (in El Dorado Park), Beach. In celebration of Gay Pride, four organizations are joining hands to achieve one common goal. Friends of Long Beach Animals (FOLBA), Long Beach Animal Care Services (ACS) and spcaLA are teaming with Long Beach Lesbian & Gay Pride, Inc., to offer subsidized adoptions at the P.D. Pitchford Companion Animal Village during Gay Pride Weekend. All adoptions during this period will be reduced by $50 to lower the total cost of bringing home a loving pet. FOLBA will have a table at the Long Beach Lesbian and Gay Pride Celebration and we encourage you to stop by, say hello and offer your support. We will also be walking in the parade along with Long Beach Animal Care Services. Members are encouraged to join us. You don’t want to miss out on a great day in the park for a great cause. Marie Hulett, the host of the Pet Place Radio Show, will be the MC for the event. Joining her will be DogPACT, providing K9 agility and “nose work” demonstrations throughout the day with Tess, a member of the K-9 Bed Bug Detection Team with the uncanny ability to locate bed bugs. There will be other animal demonstrations and exhibitions, animal rescue and adoption groups, live entertainmentby the Blue Steel Band, vendors of all kinds, great raffle prizes, food, a kid zone, special guests and much, much more! A bike valet will be available for those who want to ride to the event, which is free and open to the public. Topreregister for the WALK itself, click here.The cost is $30.00 and includes two complimentary Laugh Factory Long Beach passes, great discounts, a WALK T-shirt and more!Registration the day of the event is $35.00. This event raises funds for FOLBA, a nonprofit organization in its 23rd year serving Long Beach and Signal Hill, committed to saving animals’ lives through spay/neuter and education programs and fostering responsible pet ownership, education and humane treatment of all animals.